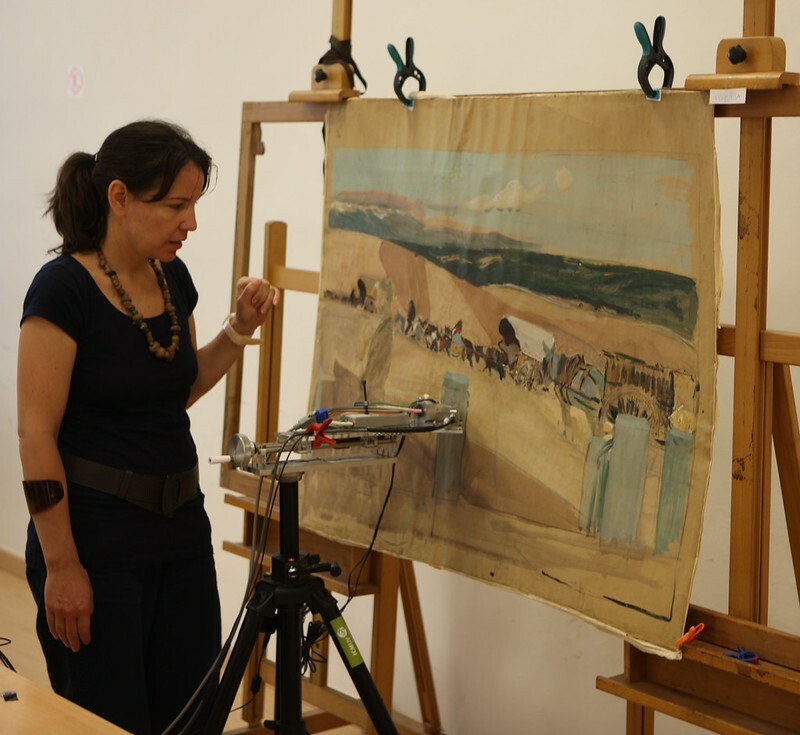 An extensive collaboration between the Hispanic Society of America in New York, the Bancaja Cultural Foundation and the Generalitat Valenciana, through the Valencian Institute of Conservation, Restoration and Investigation (IVCR +i), has ensured the restoration and exhibition of 32 of Joaquín Sorolla’s life sketches of Spain. Sorolla, born in Valencia, Spain in 1863, enjoyed international recognition for his art in his own lifetime. Subsequent to time working in Madrid, Paris and London, the painter met Archer Milton Huntington who invited him to the United States of America where he was made a member of The Hispanic Society of America in New York City. In 1911, Huntington commissioned Sorolla to produce a series of oil paintings depicting life in Spain which resulted in a series of 14 panels, titled Vision of Spain. The contract stipulated that the sketches for these paintings, and therefore the entire creative process, would also be included in Huntington’s final collection. Sorolla travelled around Spain for nine years with rolls of paper that he would hang on the wall with pins, on which he drew life sketches of rural Spain. He went so far as to realise 170 sketches during this time. “This project is a reflection of the evolution of an artwork with focus paid to the process and not only the finished work. This collection expresses the interest that North America has for a component of European culture of the 20th century. This effort has been carried out by a European institute which has responded to this interest in an exemplary way. The link between the institutions is noteworthy” the jury stated. The sketches were restored between May 2013 and December 2014 by the IVCR+i in Valencia. Paper and canvas restorers, physicists, chemists, photographers and art historians from IVCR+i, and other partners which collaborate with the Institute, were involved in the restoration process. The exhibition “Intimate Sorolla. Sketches of a Vision of Spain.” travelled to several Spanish cities and is the culmination of this work. In it, visitors see both the creative process of Sorolla, through these sketches, and the complex Japanese “soko” technique which was employed by the conservators. Through the efforts of Spanish and American institutions, a European artist has become more widely known, his innovative approach duly emphasised. The fragile papers with which Sorolla recorded early 20th-century Spain have been preserved for future generations to appreciate and study.